Toothaches are painful, but root canals can solve the problem and let you keep your natural teeth. Endodontics is about the therapy of root canals. We have the latest medication that will make the procedure as pain-free as possible, and we will discuss the whole process with you so that you understand why you might need a root canal and how we’re fixing your teeth. A toothache happens when the pulp – that’s the nerves and blood vessels – inside your tooth are damaged because of dental decay. In a root canal procedure, we remove the pulp and put a root canal filling down the canals to seal it and stop re-infection. This allows you to maintain your natural tooth. We often also recommend a crown to prevent tooth fractures later. If you have a toothache, come to Filice Dentistry for the solution. 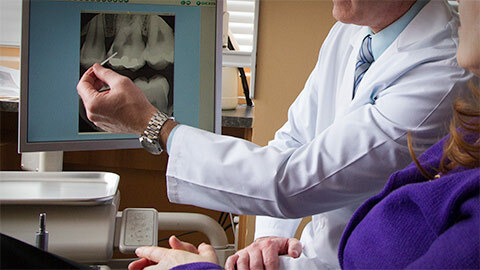 If you need more information about Root Canals in Hamilton, contact us today.